If there’s one thing in life I don’t leave the house with, it’s a red lipstick. Imagine my joy when I was kindly given the Jeffree Star Cosmetics Love Me Love Me Not lipstick collection for my birthday from an awesome gal pal. Featuring 8 of the best selling reds and pinks from the brand, this is a lipstick wardrobe for all occasions! 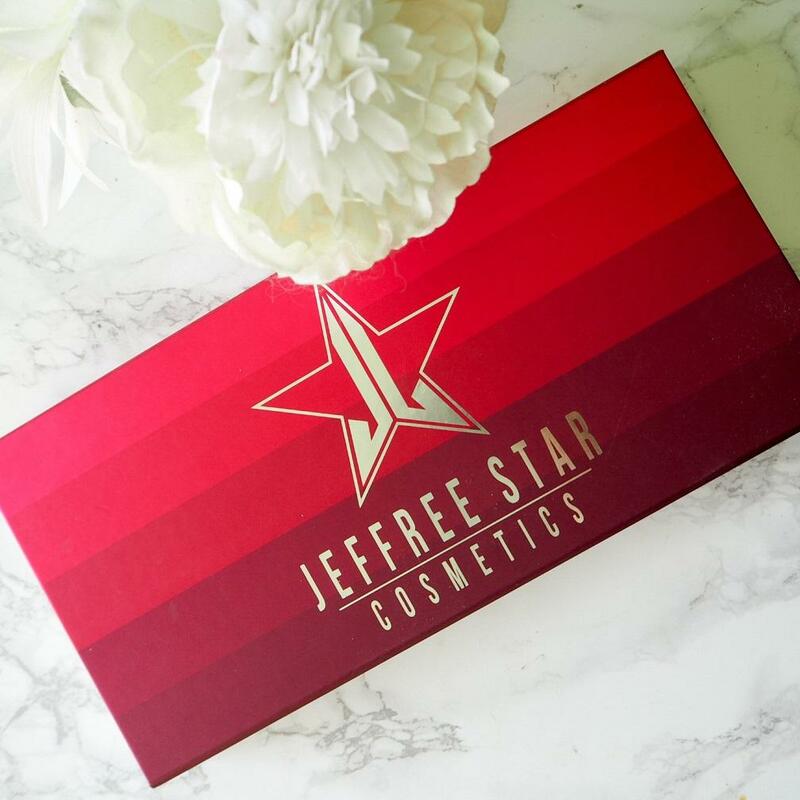 The Vegan and Cruelty Free brand from California is headed up by internet personality Jeffree Star. If you are old like me, you’ll remember the Myspace days and of course the music…. If you are on the younger end of fabulous, you’ll be well aware of the youtube videos and stellar make up collection. 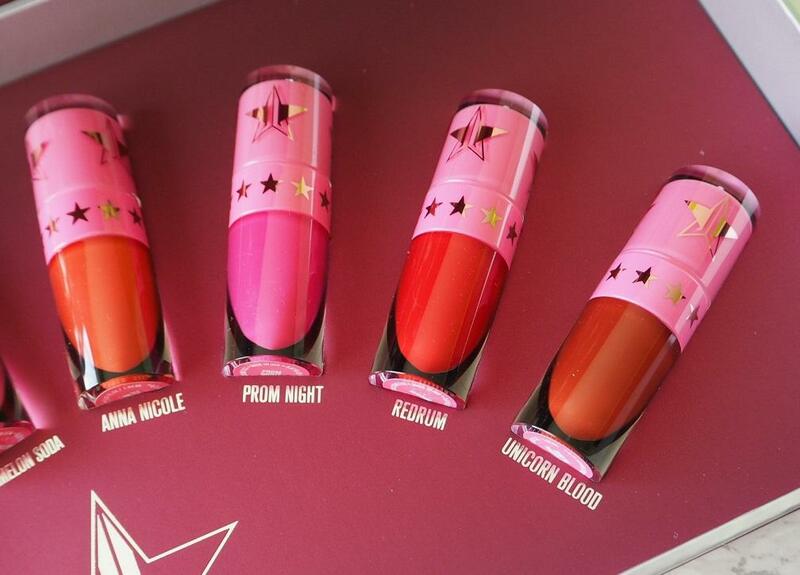 Not one to shy away from the spotlight, Jeffree Star has brought a rainbow collection of liquid lipsticks – Velour Liquid Lipstick – to market with every colour from red to white to black and everything in between. I most definitely squealed when I opened the box to see the Jeffree Star Cosmetics Love Me Love Me Not selection, I love the Velour Liquid Lipstick formula. It applies well, dries quickly and doesn’t budge all day. It’s so gentle you can even use it as eyeliner! My eye is naturally drawn to the brightest shade in the box, Anna Nicole, who herself was famed for her red lipstick. Doll Parts and Calabasas are on the more subdued pink side, Wifey and Watermelon Soda are righter, Anna Nicole and Prom Night are the 2 bold choices and RedRum and Prom Night are those classic deep blood reds that you can wear all year round for any occasion.